Credits & Links - Oh Boy! http://thevideobeat.com This website has copies of the last 'Oh Boy!' 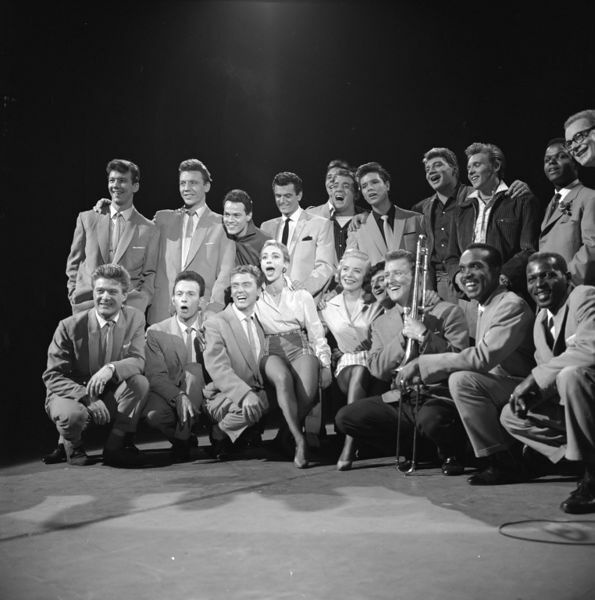 show of 30th May 1959 for sale! It is the ONLY place on the Internet that I have found that has videotapes of ANY of the shows. Besides 'Oh Boy!' they have hundreds of GREAT Rock'n'Roll/JD/Hotrod/Teen music/Motorcycle gang films/TV shows on videotape (NTSC system only, but most modern video players will play both PAL & NTSC). This is one essential site! http://royyoung.com Roy Young's own website detailing his long and illustrious career - from his early beginnings, then playing with the Beatles in Hamburg, British beat groups, his own band and then on to backing some of the giants of the British music scene. Photo Gallery, discography, interviews and more. A fascinating insight into one of Britain's pop veterans. Len Whitcher for his 'backroom boy' memories at the ABC studios. Barbara Mitchell - ex-Vernons Girl, for some lovely photos and interview. 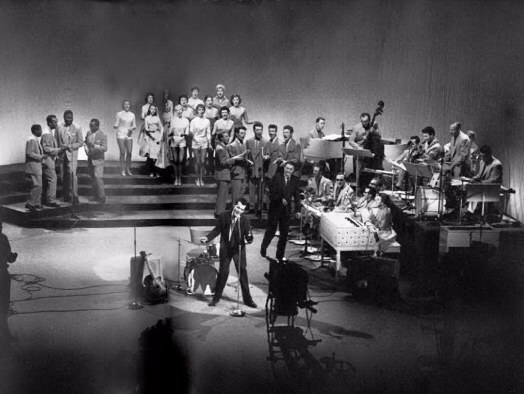 Steve Dodds, a Cliff fan in Australia for supplying some great photo scans of Cliff & The Drifters. Vince Eager - Recording star and ex-"Oh Boy!" guest, for some corrections to site info. John Reynolds from UK, for supplying scans and info on Lord Rockingham's XI and Michael Cox. Will, a UK Billy Fury fan, for several nice photo scans. Dave Herbert for a whole heap of wonderful pics taken from period magazines and teen books. Cherry Wainer - Ex-"Oh Boy!" regular and recording star, for many superb photos and info. Deborah Price for some brief info on her late father. John Y. for some brief info on Dene Webb and biogs of Ronnie Carroll, Tony Sheridan & Tommy Steele. Jack Good for press releases and show running orders and rehearsal schedules. 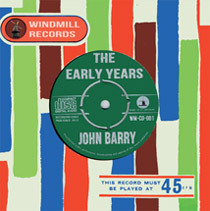 Gareth Bramley for supplying the Parlophone LP cover. Alan Bailey for Oh Boy! autograph and the Oh Boy ticket. Paul Rumbol for his generosity in supplying many, many scans of photographs and magazine articles, plus reports and endless hours spent on research and interviews, without which this website would be a lot less interesting! Geoff Leonard was born in Bristol. He spent much of his working career in banking but became an independent record producer in the early nineties, specialising in the works of John Barry and British TV theme compilations. He also wrote liner notes for many soundtrack albums, including those by John Barry, Roy Budd, Ron Grainer, Maurice Jarre and Johnny Harris. 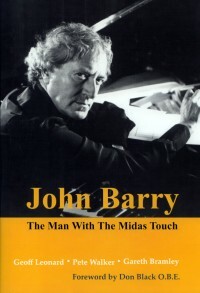 He co-wrote two biographies of John Barry in 1998 and 2008, and is currently working on a history of The John Barry Seven. He joined the Internet Movie Data-base (www.imdb.com) as a data-manager in 2001 and looked after biographies, composers and the music-department, amongst other tasks. Geoff retired after nine years loyal service in order to continue writing. 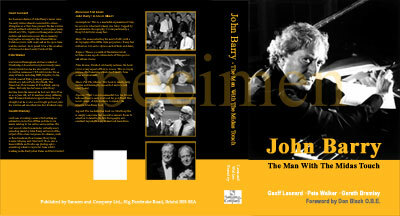 Geoff (owner) and Ruud (webmaster) have been running the John Barry website since June 18, 2001. 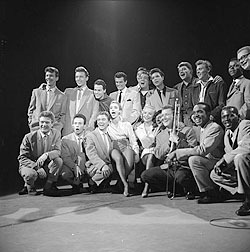 He is also a keen photographer and a collector of John Barry's music.